The Xbox One S shrinks the original Xbox One to a very pleasantly small size, but it brings very little performance improvement. The hardware remains the same, except for efficiency improvements that reduce the power and heat, and allow for small clock speed increases. Having 8 CPU cores is nice, but their speed is painfully slow. 8GB of RAM is nice, and more than enough for gaming. The same is true for PCs. The GPU was competitive when it came out, and still isn’t bad. It’s a little slower than an AMD R7 360. Beyond the smaller size, the main new features of the Xbox One S are HDR10 support, which will allow people with high-end TVs supporting HDR10 to have slightly better picture quality, and 4K movie and picture support. The One S also benefits from greater developer optimization. Unlike PCs, every Xbox has basically the same hardware, so developers can optimize their code very specifically for the console to squeeze out every bit of performance available. For someone who wants a very simple way to play games reasonably well, and wants to be able to watch video, the One S will do a fine job. However, for someone who enjoys a bit of tinkering and setup, and wants more performance for the same amount of money, building your own PC is still the better option. Below we have two builds — one that provides better performance than the Xbox One S for the same price, and a second that leaves the One S in the dust for an additional ~$150. Note: The prices we quote are just for hardware. We do not include the price of the operating system and other things you might need (monitor, keyboard, mouse) depending on what you currently have. See the bottom of this article for more details on those additional things. For a free OS (albeit limited), there’s SteamOS. This build rivals the Xbox One S in price, while providing over twice the raw gaming power. Brute force trumps optimization. Max games out at 720p resolution, and get smooth frame rates at higher resolutions. This build also has excellent upgradability. With 1024 SPs at 1070 MHz, the R7 370 has almost 1.5x the raw GPU power of the Xbox One S.
With two hyperthreaded cores, the i3-6100 is a very efficient CPU. It is more powerful the relatively slow 8 core CPU in the Xbox One S. With our motherboard, starting with a 6100 will also allow future upgrades all the way up to Intel i7s, the most powerful gaming CPUs available. Excellent value, with all the main features and performance you need without any of the features you don’t. This will allow upgrades in the future such as an i3, i5, or i7 CPU, and more RAM. Good onboard sound and gigabit ethernet. 8GB is more than enough for gaming. 2133 is the fastest speed supported by the motherboard. A single 8GB stick sacrifices a couple percentage points of performance for the ability to add more RAM later. Inexpensive, reliable storage. Feel free to get a larger drive if you think you’ll need it. If you have the money, adding an SSD (120GB or 240GB) to install Windows and your most used applications and games on will greatly improve how fast general use feels. A reliable, inexpensive power supply. Moderately efficient and quiet. Get this, or whichever has the best price between the 450B, 500B, and 600B. Even 450W is plenty for this build. A surprisingly nice case for the price. USB 3.0, decent airflow, enough space, small. This build leaves the Xbox One S in the dust when gaming. This build achieves smooth frame rates at high settings in most titles at 1080p resolution or even higher. It offers a ton of performance for the money, and has the ability to be upgraded into a true computing monster. With 2304 stream processors at 1266 MHz, the RX 480 provides almost 4x the raw power of the GPU in the Xbox One S. The RX 480 is also quite power efficient. The only problem is finding it in stock at a fair price! Clean, solid, with all the performance and basic features needed. 8GB is plenty for gaming. buying a single stick will give you the option of adding more RAM in the future. 1TB is enough space to hold a lot of games, but feel free to get a larger drive. 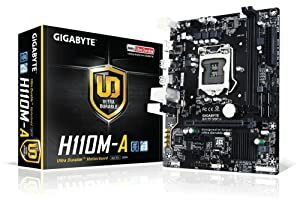 If your budget allows, adding a good 120GB or 240GB SSD to install Windows and your most played games on is highly recommended, and will make the PC feel much faster for general use. A reliable, inexpensive power supply. Moderately efficient and quiet. Get whichever has the best price between the 450B, 500B, and 600B. Even 450W is plenty for this build. 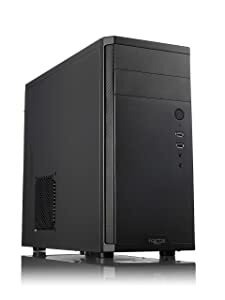 This is a great quality mATX mid tower for under $50. It lacks high end features like fan controllers, but it has dust filters, adequate cable management, and even a modular 3.5” bay. If your PC will be in a warm area, it would be good to get an extra 120mm fan to add as an intake at the front of the case. A copy of Windows. You may be able to get a free or inexpensive copy through your office or school. If not, we recommend Windows 10 on DVD ($90) or USB Flash Drive ($120). SteamOS is a free option, but it has more limited potential. And there you have it! Two builds that rival the upcoming Xbox One S! If you have any questions or suggestions, then let us know in the comments.